Coffee Time: Every Kid Deserves A Bike! Students jumped with joy, hugged one another and squealed with delight as teachers at their South Carolina elementary school revealed hundreds of custom-made bicycles beneath parachutes normally used for P.E. class. 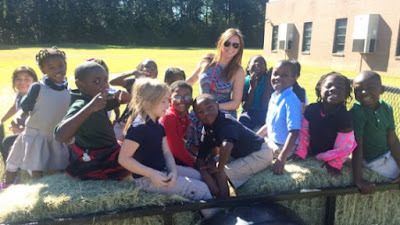 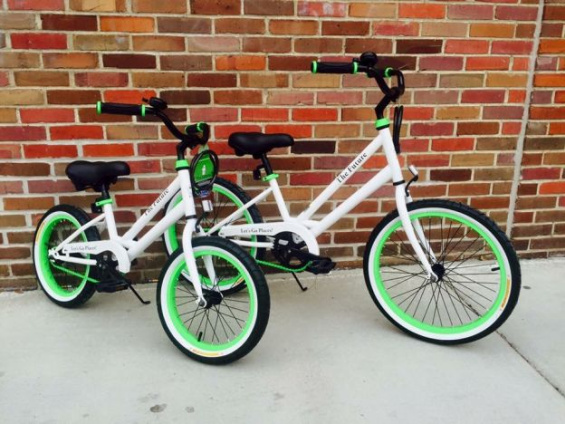 The new set of wheels Thursday came courtesy of first-grade teacher Katie Blomquist. 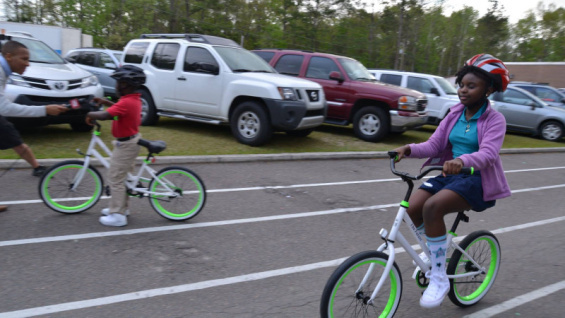 When she realized the 650 students wouldn't have childhood memories of riding bikes, she took action. 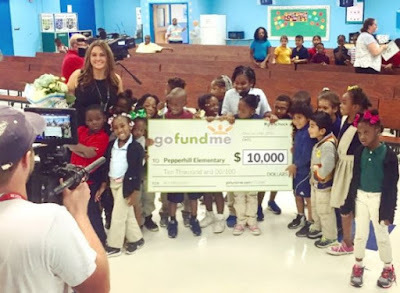 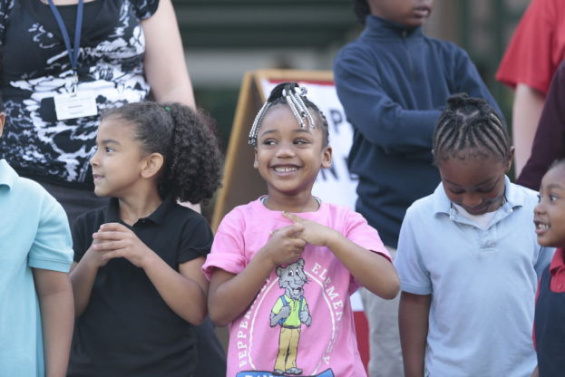 In September, Blomquist started a GoFundMe page, “Every Kid Deserves a Bike!” and set a $65,000 goal, enough to buy bicycles and helmets for Pepperhill’s students, Today reported. Within three months, she had raised more than $82,000. 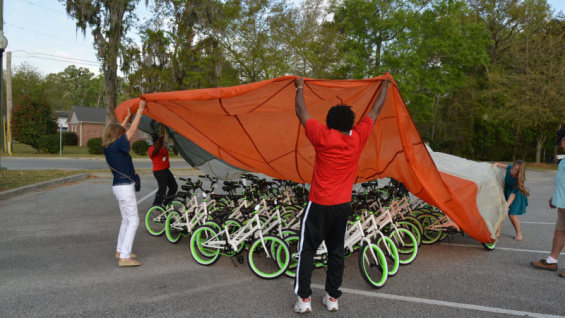 "I thought it would be a nice thing to do, (but) had no idea what I was getting into,"
She wanted to give the bicycles away at Christmas, but Blomquist told Today that she underestimated how big the project had become. “This was an entire second job for me, when I got home from work until midnight every night,” she said.